You guys know I don't read much NA or YA for that matter, but I picked up Sempre because one the blurb…never read a story where a person was born into the world of female captivity/slavery. Also, the cover is kinda interesting. While Sempre is more of a YA story which I never read, I have to say that I enjoyed this one very much. My attraction to this tale is of course its characters, they are very “adultish” for their ages and who wouldn’t have to be if you grew up a second generation slave or your dad/mom is or was part of the mob. You really just have to be grown up rather you want to or not. 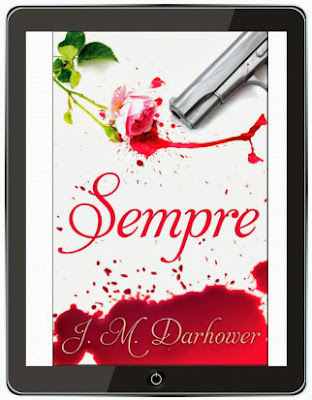 Sempre is the story of Haven Antonelli and Carmine DeMarco. 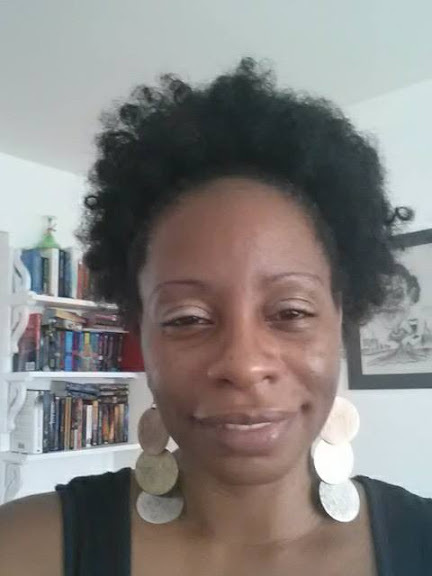 Haven was born into slavery and grew up as a slave…her mother was one and now so is she. The story starts off brutal, Haven watches a murder when she’s what like seven and then she’s taken away from the only world she knows when she’s brought. She’s seventeen at this time and she meets Carmine DeMarco, son of a wealthy doctor who works for the mafia. He is the one who brought Haven. Sempre is a dark, twisty tale. There is a lot of lies, betrayal and death going on in these pages. And given the serious subject and ages of some of its characters, how could you possibly fit a romance into it? Well, J.M. Darhower did and she made it believable, especially given the circumstances of Haven’s and Carmine’s lives. The romance between these two young adults is believable and the relationship between Haven, Carmine and his family is sweet and strong. The development of this story and its characters is steady. There’s no declining in either at all. Haven who starts off as this timid meek girl blossoms into a beautiful and confident young woman while she’s with the DeMarco’s and Carmine, well…Haven definitely humbled this spoiled rich boy. I thought it was a good tale given the seriousness of the base of the story. A simple tale is all I need and yes there is conflict here, but this author stayed the course. She didn’t waver and for that I’m grateful. Now if only more YA/NA stories can read such as this...maybe I’ll read them a little more. Also, because of the content of this story, I would recommend this book definitely for 18+ and older. Sounds different and pretty good. Great review hun! Thanks Melissa! Definitely different, but what I liked most was Haven's attitude. She wasn't bitter or angry...given her situation. It was a very realistic take on her characters attitudes. Most YA books work my nerves because the folks are annoying as all get out, but thank good gravy these guys weren't. I'm so glad you liked it. The blurb grabbed me too with all that dark stuff going on with the characters having to be so tough about stuff. I've got this one on my review list too. Enjoyed your review! thanks Sophia. Its definitely worth the read. thank good gravy these characters had such and adult way of thinking. I would have hated to DNF, but I can't deal with some YA stories. I'm around teenagers/young adults all the time so reading about isn't fun for me at all...lols. Girl so very annoyed... I'm always thinking, young ppl can't be like this in real life...they just can't. I don't even understand how most folks enjoy the books without wanting to throw it across the room. But I guess to each it's own...lols. OK WTF was I thinking skipping this?! I think I saw this at NG but I didn't like the "feel" of it. Oh well... this is something I would read, no doubt about it.